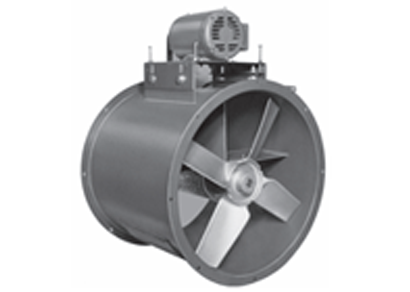 Axial flow fans | Exhaust fans | Manufacturers | Apzem, India. Axial Blowers / axial flow fans forms an important part of an industrial application that requires high flow air at low pressure column as well as to blow axially. Axial flow fans generates more CFM of air at minimum power in comparison to centrifugal blowers. Axial flow fans are predominately used as exhaust fans , in Industrial ventilation and spot cooling application, air coolers and in ducts. It uses propeller to pull air axially. Since air is a compressible fluid, designing and manufacturing of blowers needs deep knowledge on compressible fluid flow. Apzem had a strong knowledge in design, Fabrication and supply of centrifugal fans and axial fans for various industries. With strong knowledge in AMCA standards and CFD tool, Apzem supplies efficiently designed Industrial blowers for various applications at an affordable prices. Please feel free to call us or email us for quote or to know more.